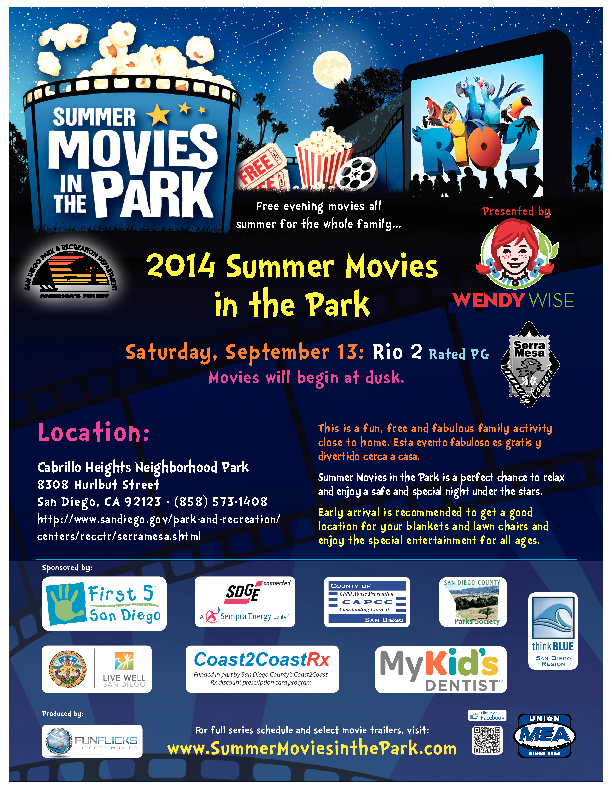 Please join us on Saturday, September 21, for a movie night at Cabrillo Heights Park! Further details can be found on our Events page. By serramesa_g4tiah| 2014-09-04T11:49:49+00:00	September 4th, 2014|News/Events|Comments Off on Community Movie Night 9/13!